Jane and Michael Banks once penned the famous wanted ad Mary Poppins answered: “You must be kind, you must be witty, very sweet and fairly pretty. If you don't scold and dominate us, we will never give you cause to hate us.” Though the two children are eager to share what they prefer, their father has another approach to childcare, mainly discipline. Striking a balance and keeping both you and your children happy is the name of the nanny game. After all, we all want the same thing: a healthy, happy, and nurturing environment for the kids. So, does it really matter if we stress-eat our way through a difficult day with your children and raid the fridge? Believe me, sometimes looking forward to eating that slice of leftover pizza at nap time is the only thing pushing us through the meltdown to get there. I’ll be the first to admit, being a nanny is a tricky job; we need to win the hearts of the kids, but also your trust with those you cherish most. We’re both cool-headed professionals, but also an integral part of your family. We want to see your children thrive, and have fun helping them along the way—even on days when everything goes awry and we’re on the frontline of back-to-back tantrums. From dodging flying scissors, wiping tears over mix-matched socks or the day’s homework assignments, poop explosions, and sometimes more shouting, spilling, and smearing than I’d like to admit, no day with your child is ever the same. Sure, routines are in place, but as any parent knows, a followed plan for the day is sometimes only an attainable goal under perfect circumstances. Any nanny can tell you about the worry and anxiety he/she might experience when they’re running late and stuck in traffic, at home with an ill child, or on an unexpected trip to the hospital. While we may feel at fault at times, we understand accidents and mistakes happen, too. But, we’re always doing our best to keep your children safe. 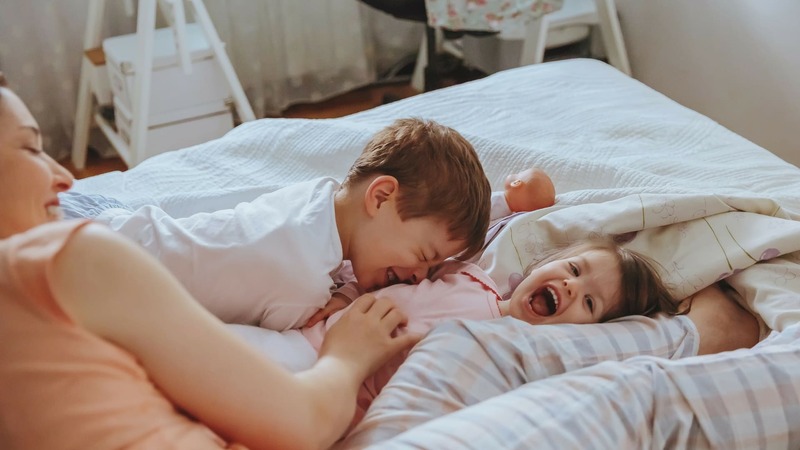 Though some nannies might not be able to admit it, we get just as stressed out, frustrated, and exhausted as you might while spending all day with the kids, too. Yes, we leave at the end of the day if we’re not live-in, but we’re back in the morning, switched on, and ready to ‘muck in’ day in and day out. As with any emotionally and physically draining profession, burn-out is inevitable, and it’s important for us to take a breather, too, but we understand that it is part of our job and a sacrifice we’re willing to make. So, why do we do put ourselves through the wringer? Because even during your child’s worst moments with us, we’re all-in, despite the headache we might be subjected to over the course of a day. Being a nanny is a labour of love, and there’s no job we’d rather have than be with your kids. Every day we choose to put your children first, sometimes before our own families or personal lives. We understand the responsibility we’ve been given and it’s a privilege to watch your children learn and grow over time. Better yet, if the family is the right fit, the friendships we build with both you and the kids are invaluable. Over the years, I can say some of the parents I’ve worked for have not only become friends, but role models, mentors, and confidantes. As for the kids, I stay in touch with them long after they’re no longer in need of my care. Whether they’re off at boarding school now and we exchange likes and comments over Instagram, catch up for a coffee every once in a while, I continue to invest in your child's present and future. As a figure in your household, nannies see how hard you work, your commitment to your children, and we’re never here to judge you, your parenting style, or disciplining methods. Sure, we may have differences of opinions, but we’re all on the same team and we’ll do our best to keep consistency. And isn’t that one of the most important aspects of a helping foster a healthy childhood? At the end of the day, I know when the dishes have been washed, the school bags have been packed, the pyjamas are on, and teeth brushed, I’m leaving your home having given 100 percent of heart into your family and I’ll do it again, over and over. P.S. Nerf gun wars, rubber snakes, baking, and other initiation misadventures are always welcome. What’s a nanny for, if not for fun at times, too!